He rocked it like always!! Seen him multiple times in the past and will go to every one I can in the future!! If I could give more stars I definitely would!!!!! He is amazing!!!! I wish I could sit and have dinner and some beers with him. Very patriotic and respectful. It was amazing!! Would have love to get an sign CD or hat or even taken a picture with him but what video's and pics I do have. 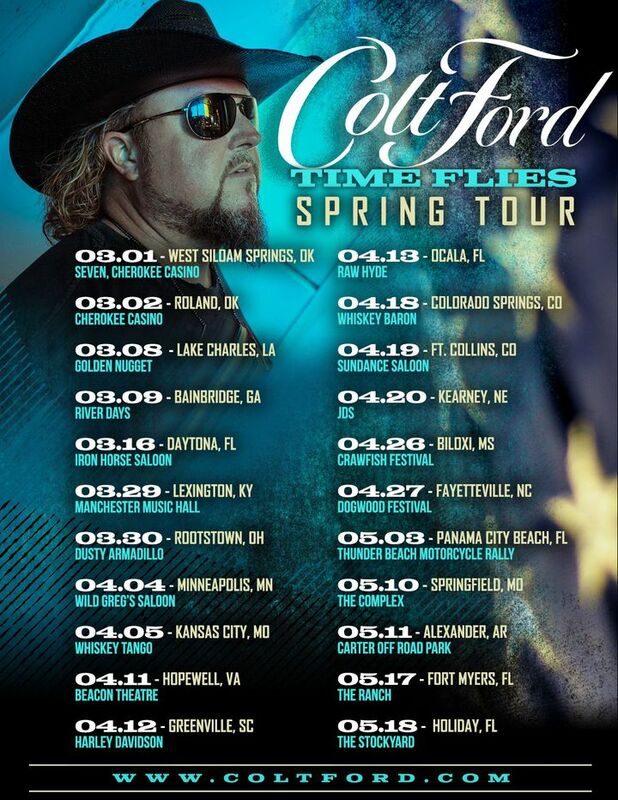 My fiance's wanted to propose to me on stay with Colt Ford, but I talked him out of it because I wasn't sure if the Security guys would allowed that. But all and all it was an amazing performance!! Colt rocked the house! I have been waiting a long time to see the man himself live and was not disappointed. His love for god and country makes me a bigger fan. Carter Winter was a pleasant surprise opener. Duet soon hopefully! Great entertainer but the acoustics were echoing and dull throughout the evening. Saw colt ford at a different venue and he sounded great!